Keep track from anywhere you have an internet connection. The Future of Energy in BC. Most of the energy created in BC is renewable. But is it all clean? 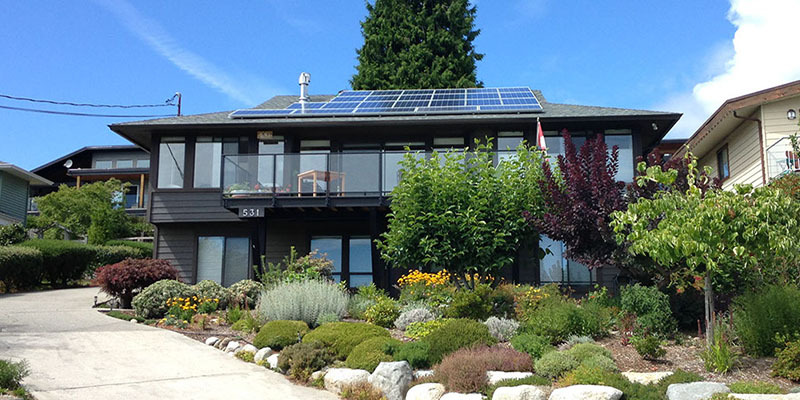 Climbing energy prices are the reality for many BC residents. You're going to love embracing a greener future. BC is in a position to demonstrate to the world what solar energy is capable of. The vast majority of our current production of energy comes from hydroelectric dams, with other renewables starting to contribute more significantly. Hydro is a renewable and relatively clean solution to our energy needs, but it still does pose some significant environmental risks, as well as challenges for our wildlife. Some more specific concerns also exist for species like Salmon, which stand to be the most affected by our energy production choices. 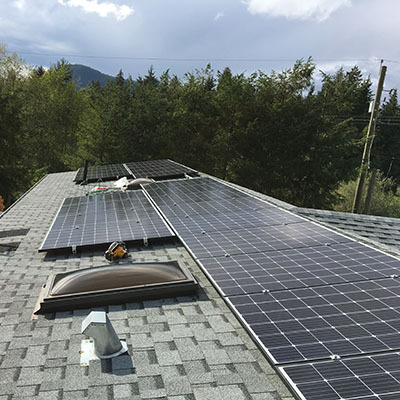 In stark contrast, solar energy has almost no impact on the environment or wildlife other than the process of manufacturing, scales extremely well in residential development, and has become a popular choice by the people of British Columbia who want an even greener future. 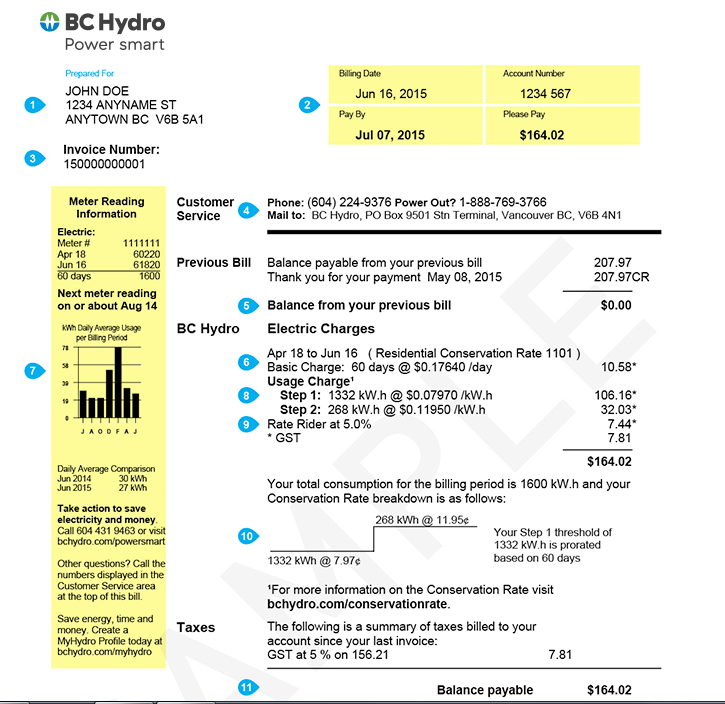 As a Crown Corporation, BC Hydro has the obligation to provide for the energy needs of it's 1.8 million clients while maintaining fiscal responsibilities and meeting provincial requirements. One of the recent results has been a government intervention to help calm the storm of our energy prices, which have been highly volatile in the last 20 years, and are showing no sign of slowing down. By uncoupling your requirements for energy from these fluctuations, you can enjoy a truly independent energy future. 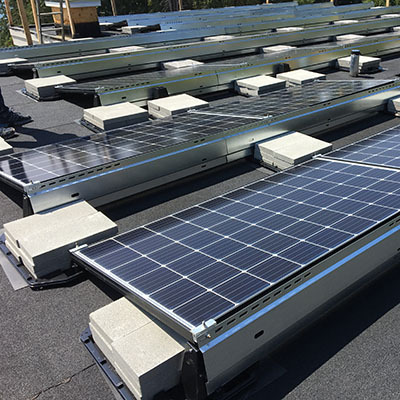 Modern solar panel arrays have a financial cycle that begins with the upfront costs of an installation, then year by year earns back it's own value and reaches parity (or return on investment), and finally experiences an extended period of profitability. Instead of paying off the construction costs of a dam, your energy payments will pay off the investment in your own energy independent future. 90% of our solar installations start with a component called a Micro Inverter. The purpose of a Micro Inverter is multi-fold and includes; increased system efficiency, accurate per-panel reporting and analysis, and critical safety shut-down features. 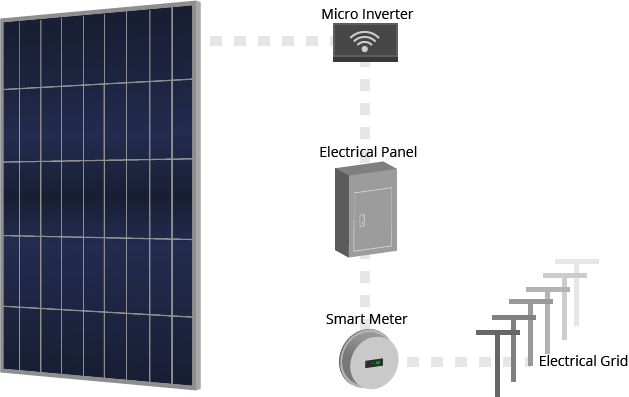 In the event of an emergency, Micro Inverters communicate with a base station and provide a safe (and automatic) means of disconnecting the system, right at the panels. Your solar installation is producing energy for you to use, so it's only natural that you want to use it. During sunny periods, the system provides clean, renewable, affordable energy to use for washing clothes, charging your car, or any other household energy demands. Each of our grid-tie solar installations works in concert with the electrical company (with the use of a Smart Meter) to aggregate measurements of your power consumption and production. With mobile apps and the controls at your fingertips, you will never be left in the dark. There is no need for expensive battery banks or charge controllers with grid-tie solar installations. 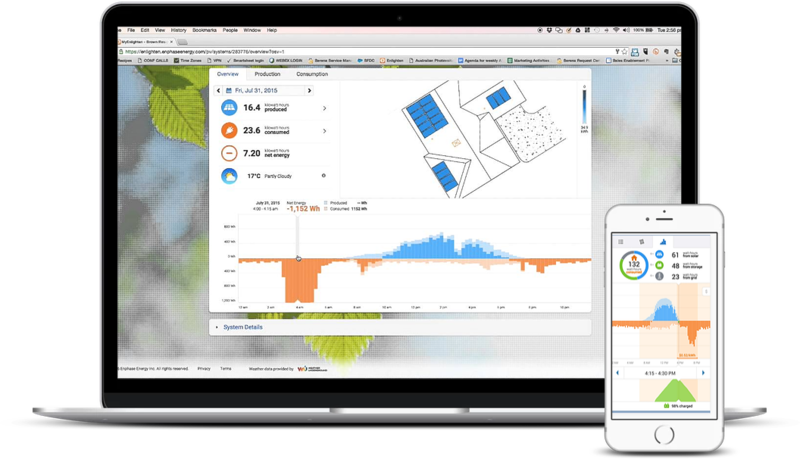 Your excess energy is automatically added to the existing grid, to be used by other people or stored for later use. We firmly believe making the process of acquiring solar technologies as simple as possible and available to as many people as possible are keys to success. Our goal has been to streamline the steps and break down the barriers, so that we can all move forward towards a sustainable future with clean, renewable, affordable, energy. How much is your average energy bill? 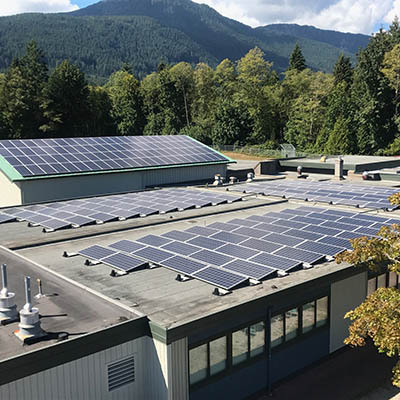 Located on the Sunshine Coast, we've helped hundreds of Canadian families achieve energy independance, unshackle the chains of power costs, and help to create a better, more sustainable future. Our list of accomplishments in the industry is constantly growing, due to clients like you who want to leave an impact on the future of our environment. All it takes is one phone call to get started with the movement. "APS was prompt in responding to our request for information. They arrived on time as scheduled to begin the installation. They worked steadily and efficiently..."
"Excellent product knowledge. Prompt service. Friendly employees. We will be expanding our system in the future. Highly recommend APS for your alternate power..."
"Scott at APS/Olson Electric is amazing. 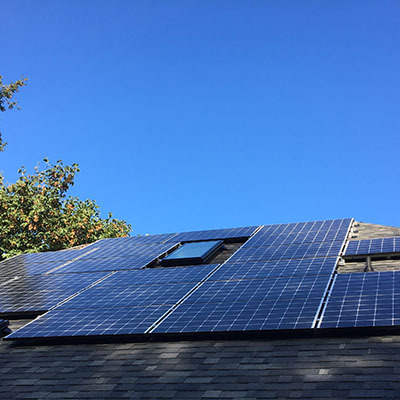 The continued service they have provided after installation of our solar system and the professionalism during installation..."
"Alternative Energy systems did a wonderful job on my solar panels. Doug and Scott spent a great deal of time making sure everything worked and explained everything..."